The Sandman Signature Aberdeen Hotel is a unique 4-star Hotel boasting fantastic features and facilities. 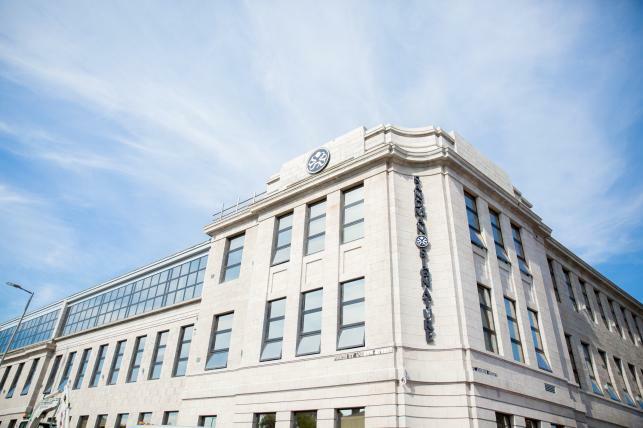 Located in the old Robert Gordon University Building, it is steeped in history and is an iconic building recognised by locals located in the heart of Aberdeen’s city centre. The brand is of significant difference to others in the market, providing a relaxed yet professional environment offering the best value for money for a luxurious high-end product, ideal for an Aberdeen and North East Scotland incentive experience. Steeped in history, The Sandman Signature Aberdeen Hotel is an iconic building recognised by locals located in the heart of Aberdeen’s city centre. The building itself offers a stunning, modern and aesthetically pleasing atmosphere, with quirky and fun touches yet still keeping in trend with the renowned Aberdonian architecture. With 218 bedrooms, we offer a range of facilities including free wi-fi throughout the building, an elegant restaurant and bar area boasting a delicious and exciting menu as well as a whisky tasting room. The Sandman Hotel also offer a great variety of meeting space with a total of 6 rooms, with a minimum capacity of 100 people theatre style. Their unique ballroom that can hold a maximum of 300 people theatre style perfect for larger corporate meetings, presentations, themed entertainment dinner or product launch. The property has magnificent high ceilings all around and it is perfect for any event. The hotel can accommodate for themed parties, conferences, meetings as well as tweak their menus to suit your day the best way possible! If you are looking for the ‘wow’ factor, look no more - Sandman Signature is the answer.